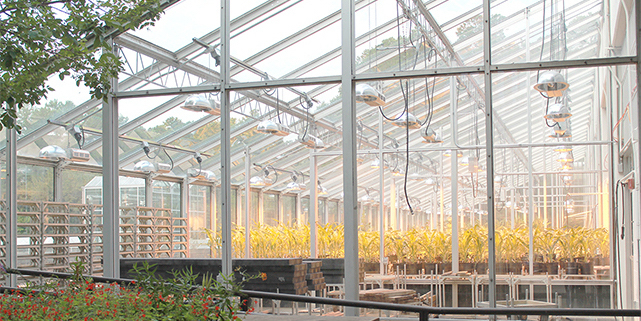 Verdesian Life Sciences has expanded its research pipeline by opening a greenhouse facility at Duke University to develop early technology validation screening for agricultural nutrient use efficiency (NUE) technologies. The new Verdesian greenhouse is part of Verdesian’s Early Technology Validation (ETV) screening to facilitate the Verdesian Technology Advancement (VTA) pipeline. Improved pipeline efficiency through early testing of new concepts under small-scale, controlled conditions will allow Verdesian to better understand capabilities at an early stage, helping to define opportunities while mitigating risks and optimizing time and resources on viable candidates. The 1,000 square feet of greenhouse space at Duke University adds to Verdesian’s existing growth chambers in Research Triangle Park (RTP).